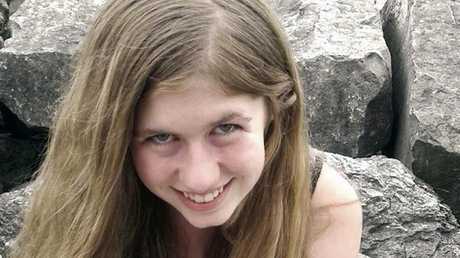 Jayme Closs was kidnapped and her parents were found fatally shot at their home in Barron, Wisconsin. Picture: Courtesy of Barron County Sheriff's Department via AP. The family of Jayme Closs have revealed they were "not prepared" to hear the disturbing details of what happened the night she was kidnapped. Jodie Arnold, the cousin of Jayme's mother Denise Closs said the specifics of how Denise, 46, and her husband James, 56, died were worse than she imagined. "I was not prepared," Arnold told People magazine. She was hoping that her cousin had died quickly but was devastated to learn after the criminal complaint was made public on Monday, that Denise had been awake when her husband James was shot. The mother called 911 and hid with her 13-year-old daughter Jayme in the bath. She bravely covered her daughter in a bid to protect her. But suspect Jake Thomas Patterson, 21, found them and in her last moments he allegedly asked the mother to put duct tape in her daughter's mouth, before shooting her. "Denise's last thoughts were probably, 'My daughter is next,'" Arnold said. "It makes me so heartbroken. It just wrecks me … When somebody dies, it just feels a million times worse when their last thoughts are of utter despair and terror. I had been hoping it had happened so fast that it wasn't time for her understand." 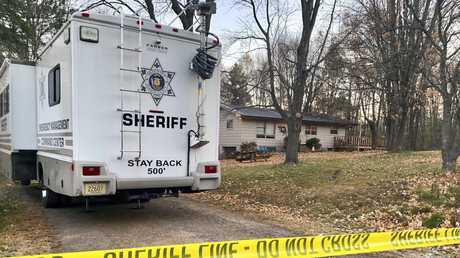 Patterson, a Wisconsin man, is suspected of kidnapping Jayme and killing her parents during an October 15 home invasion near the Closs home near Barron in US state of Wisconsin. He apparently applied for a job online the day that Jayme escaped, calling himself an "honest guy" even though his resume contains inaccuracies about his work experience. According to a criminal complaint, Patterson told investigators that he broke into the house in the middle of the night, gunned down Jayme's parents and made off with the teen, hiding her in a remote cabin for nearly three months. Jayme escaped January 10, and deputies arrested Patterson minutes later relying on her description of him and his car. Patterson, 21, graduated from Northwood High School in Minong in the spring of 2015. His activities between then and the day he was arrested have largely not been made public, including his employment and how he supported himself. He had been living in the cabin in Gordon, Wisconsin, where he kept Jayme captive. 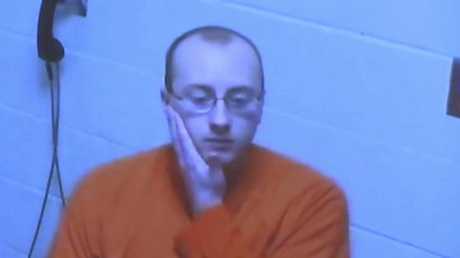 Jake Thomas Patterson, 21, is accused of abducting 13-year-old Jayme Closs and holding her captive for three months. 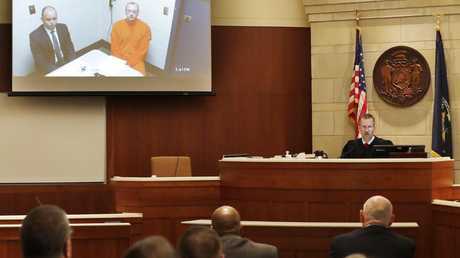 Picture: KSTP-TV via AP. Officials with Saratoga Liquor Co in Superior, Wisconsin, said on Thursday that they received an online job application from Patterson around midday on the day Jayme escaped. On the resume Patterson submitted in his application, he describes himself as an "honest and hardworking guy. Not much work experience but I show up to work and am a quick learner." He notes he worked as a "labourer" from April 2018 to November 2018, but Saratoga officials redacted the employer's name in the provided resume. Patterson states he served in the US Marines for nine months from April 2017 to December 2017. Marine spokeswoman Yvonne Carlock has told AP that Patterson did serve, but only for about five weeks in the fall of 2015. Carlock said his early discharge indicated the "character of his service was incongruent with Marine Corps' expectations and standards".